Hello everyone! I want to thank our former social studies teacher Mr. B**** N****** C***** for the maps of India marked by hand. I have attached a PDF that includes solved maps of India, regarding the location of the various rivers and water bodies in and near India; mountains, plains, passes, plateaus, and hills of India; soils of India; cities of India; minerals of India; direction of winds in India; and distribution of population in India. Given that these maps were prepared for the 2013 ICSE Board Exams, I cannot guarantee that they are up-to-date or include all markings from the latest ICSE syllabus. I would, thus, recommend that you cross check the validity of these maps with your geography teachers and/or with the official CISCE resources mentioned below. Thank you, and I hope you find these maps useful in your board exam preparation! We request EVERYONE to practice map work while referring the ICSE Syllabus Book 2019 and the Analysis of Pupils’ Performance. It will immensely help you to score better! Hope this helps! Let us know if you have further questions. Keep visiting! Plz tell a densely and sparcly populated state each in north south east and west…. Plz… N my teacher has said to mark areas of population ,coal mines, etc. Only with. A red dot…. Is it market with specific shapes or red dot as per the rules of icsc 2018 plz tell…. What is the extent of the Thar desert? I ask this question because according to our Geography teacher, Jammu and Kashmir is the most sparsely populated state and the Thar desert is the most sparsely populated area. What colour do I use for laterite and alluvial soils? Please bear with me, this is my last question. Do I have to use any specific colour for population density? Are you giving your Board Exam this year? I am. Geography exam is day after tomorrow. Hope you have been following our recent tweets. Here is a link to the tweet we sent out to address your queries. Do check out the responses we have received. Thank you so very much. I have truly benefited from these maps. Very lucid. Thank you once again. A suggestion would be to keep revising at regular intervals! Hope you have been doing the same. If not, do make sure you do before the exam comes up. There’s still time! Some of the maps are wrong….like nilgiris….it’s not so long…. Thank you for your feedback. Do contact us via our Contact Us form, and share, according to you, the correct maps so that we may compare and confirm with our sources, as well. We look forward to hearing from you. Keep visiting! thank u lot my confusions in maps vanished. Thank u for guiding us like this. Helped me at the night prior to my boards. I really thank you for the information especially handwritten maps. Hope your studies are going well! Stay connected. Hi..will the map be given with the rivers marked or we have to mark it…pls reply soon i have exams….we have always practised in blank maps..?? The maps will be marked with rivers. Do check out the specimen paper for Geography through our CISCE Publications page in the Menu. Also, the blank map as given in this post is the one which is usually given in the paper. Hope this helped! If you have further questions, please do not hesitate to ask. Found your site extremely helpful, and have been referring it this year throughout for I am writing my boards now…I just had a doubt …can we use colours to mark/shade on the map??? Thank you for the kind feedback. We are glad you found the blog helpful! In reply to your question, we are not aware of the same. However, fellow readers have said that it is ok to use colored pencils. Do check with your Geography teacher, if possible. is this up to date??? hii….are these according to the present syllabus 2017 because i am kind of confused…..please confirm…..
these r really helpful and i hope that these notes will help me in the icse 2017 examinations. the i am really thankful for the notes provided by this site. Thank you for visiting and taking the time to comment. We are glad to of help. All the best for your exam preparation! 🙂 Do keep visiting, and stay connected. Can we use colour (sketch pens) for india map or not. We are currently not sure, either and shall get back to you on this. Thank you for sharing your doubt with us. Hope to be back with an answer, soon! Glad this helped! Thank you for taking the time to leave such positive feedback. We appreciate it! Are we allowed to use colour pencils for shading on map or should we shade only with our normal pencil? Thanks for stopping by the blog. We shall look into your query and get back to you as soon as possible. Do keep visiting to stay updated. yes u r allowed to use colour pencils in the icse examinations. and infact u r strongly recommended under the icse guidelines to use colour pencil instead of simply using pencil. our geography teacher has strongly recommened to do so in ICSE exams. Thank you for the clarification. We appreciate it. 🙂 Also, do you happen to know whether the Council has mentioned anything regarding this in their Syllabus book or official announcements? Keep visiting and stay connected! Hi there! Thanks for the kind words. Glad we could help. 🙂 Keep visiting! Thanks a ton!!! All the best and keep up the good work! Hi there! Thanks for taking the time to leave behind such encouraging words. 🙂 We really appreciate it! Glad we could help. Why don’t you give the solved maps for ISC? As you may have noted, our blog is merely to help ICSE students of Class X. Hence, we do not provide study material for ISC. Thanks for stopping by! Keep visiting. how to mark map features-in ink or in pencil? Please use a pencil to mark your map. It was recommended by our teachers, as well. Hope this helps. If you have further questions, please don’t hesitate to ask. hey there! I want to know how to locate the direction of winds in India Map. In the last exam I scored less marks bcz of this location of winds in India map…. would u let me know abt tht how can I locate the direction of winds? As for the wind directions affecting India, please refer to the last page of “NOTES – Solved Maps of India (Handwritten)” whose link is given in our above post. We have shown and labelled the wind directions in that map. As per my knowledge, there is no need to make a key. You may simply draw an arrow or write the name of the soil/state/etc. next to or on the shaded region, as shown in our handwritten maps in the above post. The same was what our own geography teacher taught us and hence, we are sharing merely what we were taught. The choice is ultimately yours. However, please go through the Pupils’ Assessment Handbooks given on the CISCE website (www.cisce.org) which give suggested answers for the past examination question papers and do check out what they have given. If possible, we will soon upload the link on our blog. We have shown in our maps given in the above post that the Indian Standard Meridian does not touch Sri Lanka. On once again researching the same, we found out that the Indian Standard Meridian does not pass through Sri Lanka. 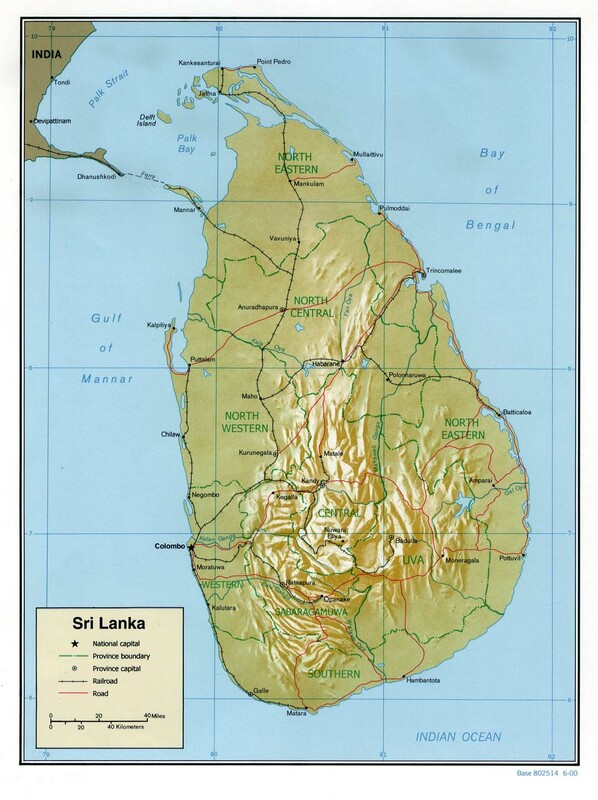 You may confirm the same by checking out the following map (link given below), which shows that the 82 degree longitude is a bit far away from Sri Lanka’s eastern border and hence, does not touch it. Thank you for your kind words! Much appreciated. 🙂 Do keep visiting! I really love this website…. Great help for ICSE students. Thanks for the positive feedback! We really appreciate it. 🙂 Keep visiting! which book should i refer for geography and history for 10th ? Why don’t you go through our posts on Topography? Hope they help! If you have further questions, please don’t hesitate to ask. Keep visiting! I am not sure about that but you can write a note at the bottom of your map stating on which basis you have marked whichever state you wish to mark. I really cannot say precisely which state should be marked. help !!! can u plzz tell me which is the most densely populated state ??? is it UP OR WEST BENGAL ??? the contents and guidance made my studies simpler and easier.i felt it is very helpful.